Try these homemade drinks for summer. It’s the month of April and you can say that sunny days are here again. The more and more days will pass it will get hotter and hard to step out during the day time. Even staying indoors is nothing short of a torcher when it comes to the scorching heat waves. Not going out is an option that many think is an ideal way to beat the heat during summers. But, does that keeps you active, fit and healthy throughout the summer? Well, no! Taking care of your health in summers’ means your body needs proper nutrition and water intake. Yes, water is the only way of surviving the heat waves, be it indoors or outdoors. 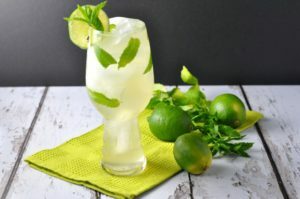 Turning on air-conditioners can make you feel better in some time, but some refreshing homemade drinks for summer are a sure shot way of keeping the chills alive. Yes, you got it right. Staying cool and hydrated during summers at home is not that tough and you can also keep yourself away from the drinks loaded with artificial colors and flavors that are sweetened with made up sugar content. So, cool down your body by stirring some refreshing homemade drinks for summer. 1. 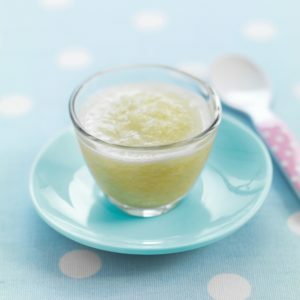 Melon Puree – This drink is incredibly refreshing and simple to make. This juicy fruit is a great source of Vitamin C and while you puree it instead of juicing, you retain all of the healthy fiber. Melon puree can be made easily at home and here’s the recipe of how you can make this interesting drink. Begin by slicing up a honeydew melon or cantaloupe into chunks. Smoothen by blending, adding a bit of water to thin things out, if necessary. This refreshing drink can be made with watermelon or any other sweet melon, but I have only tried honeydew and cantaloupe. 2. 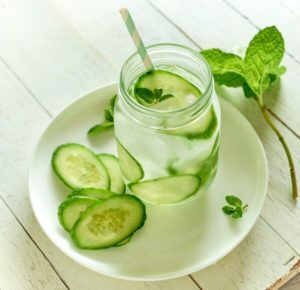 Cucumber Mint Water – Having mint water in summers is quite common and Cucumber mint water might sound odd, but is certainly a great cooling summer drink with a couple of cucumber slices and a sprig of mint. This can be served as one glass at a time or put together a whole pitcher to keep in the fridge and let the summers do its magic. So, knowing how to make a single glass of pitcher is a good idea, but knowing how to make an eight-serving batch of cucumber mint water will surely impress the guests. Mix a half of a sliced cucumber and ½ cup of coarsely chopped mint in a four quart pitcher. Top the pitcher off with 16 cups of water and chill until you are ready to serve. It is an additional benefit if you grow your own mint or cucumbers to whip up this beverage. 3. 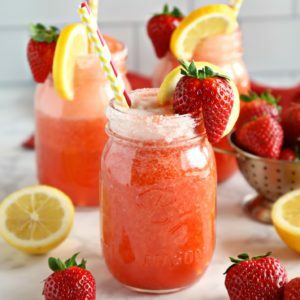 Strawberry Lemonade – Homemade lemonades are the best thing to have in summers, except adding strawberries to the mix. Fresh strawberries have the right amount of sweetness to make this your new summer drink. Slice tops from strawberries and add lemon juice to a blender and pulse until strawberries are liquid. Strain juice through a sieve if you prefer most of the pulp to be removed. Pour juice into a ½ gallon pitcher, and add slices of lemon, filled with chilled water. Don’t overfill pitcher with water add just enough to make half water gallon. Just drop some ice and enjoy. Garnish the sides of glasses with lemon slices and half of strawberry pieces and enjoy your drink. 4. 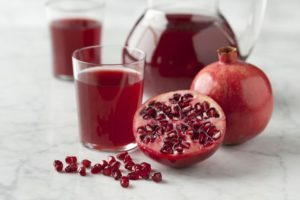 Pomegranate Juice – Having juices in summer is quite common, but making your own juice is a healthy option and solution for your taste buds as well as satiating your love for juice. This is the perfect pick for you, if you do not like having added unnatural ingredients found in many store-bought juices. Pomegranate has become popular among juice drinkers and provides plenty of health benefits and slightly tart flavor tastes great in juices. Add ice to a glass, pour in pomegranate juice, seltzer water and lemon. So, easy and simple and ready in minutes. 5. 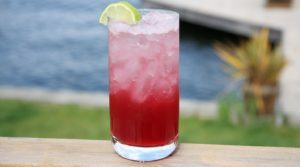 Hot pink cooler – To enjoy this drink, you do not have to be a beet lover and is also a perfect alternative to soda and other types of juices. Unlike other juices, these boxes are not packed with refined sugar. It is made with fresh, whole ingredients and is also easy to make. Preheat oven to 400 degrees and wash beet, remove stem and slice off ends. Rub the beet with a few drops of olive oil, wrap in foil, and placed on a cookie sheet. Bake them approximately for 50 minutes or until tender. If you are making more than one drink, then increase the number of beets used. Allow it to cool at room temperature, refrigerate until chilled, remove beet from foil and peel. Add it to the blender, beet and ginger root, and blend until combined. Add orange and lemon juice; blend until beet is thoroughly blended. Just drop some ice and enjoy. This recipe can easily serve up to 1 and a half servings and yields about 1 ½ cups. 6. Ginger Cooler – In summers while you try to avoid spicy food because of digestive disorders and other problems, there is this refreshing summer drink, Ginger Cooler, a spicy drink that might seem wrong as per the season, but actually help regulate your body to its actual temperature. This drink will do its trick and keep your body according to the season. Combine all the ingredients in a blender and serve chilled and refreshing ginger cooler. 7. Southern style sweet tea – Addiction of tea is something many people grow up with. However, having a new type of tea is something you should not ignore, especially in summers. And, if you have never tasted sweet tea, then it will be the right choice at this time. 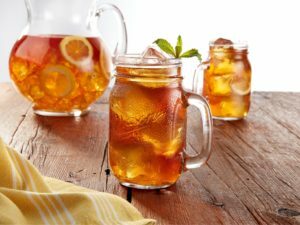 You might not have heard about Southern style sweet tea, but it is time that you are in for a sweeter treat and get ready to pamper your taste buds. Begin by taking a small saucepan over medium-high heat, get 2 cups of water to the point of steaming, remove from heat and add tea bags. Allow tea bags to steep for 8 minutes. Remove and discard tea bags, add honey, stir to combine. Add 6 cups of chilled water to a half gallon pitcher next add the tea and stir. Add sliced lemons along with fresh mint leaves. Serve with ice and enjoy. So, it’s time to cool down your nerves this summer with these refreshing homemade summer drinks.